A storming performance with both bat and ball from Colin Munro led the Auckland Aces to a six-wicket win over the Wellington Firebirds in the BK Super Smash at the Basin Reserve today. Munro helped stop the Firebirds in their tracks when they seemed set for a huge score. First he bowled a spell of 4-15, then came out swinging with the bat to strike 41 from 34 balls. “My role is usually to come on and bowl one or two overs and pick up a sneaky wicket,” said Munro. 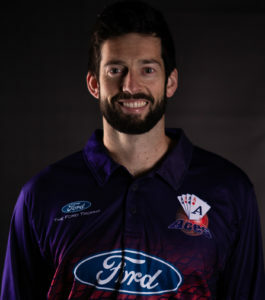 The Firebirds were flying at almost ten an over until Mitchell McClenaghan (3-32) had Michael Bracewell caught behind for 27 in the fifth over. Roneel Hira (2-22) then removed fellow opener Devon Conway for 33 four overs later. The pitch played low in the bright sunshine, and the Firebirds couldn’t adjust. From 106/4 Wellington slumped to 122 all out, thanks to fine bowling and some exceptional work in the field. The chase didn’t get off to a perfect start, however. 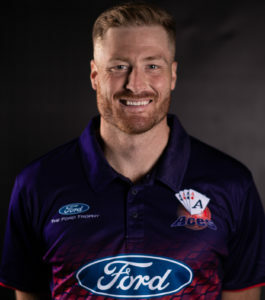 Martin Guptill got a leading edge to Ollie Newton’s first ball and was caught by Bracewell for a duck. After losing Glenn Phillips for 10, Munro and Mark Chapman combined for a 71-run third wicket partnership. Thanks to some watchful batting and powerful hitting, the Aces were close by the time the partnership fell. Logan van Beek took a special catch at point to remove Munro for 41, but by then the damage had been done. Chapman (47*) and Robbie O’Donnell (18*) saw the Aces home in 18.2 overs. The win bumped the Aces to third on the Super Smash ladder. They leapfrogged Otago, ahead of Sunday’s match against the Volts at Eden Park Outer Oval. Though Munro is leaving the group to join the BLACKCAPS this weekend, he’s sure the Aces can build from here. “This format of the game is all about momentum, we started really well in Dunedin and could have gone on to win, he said.